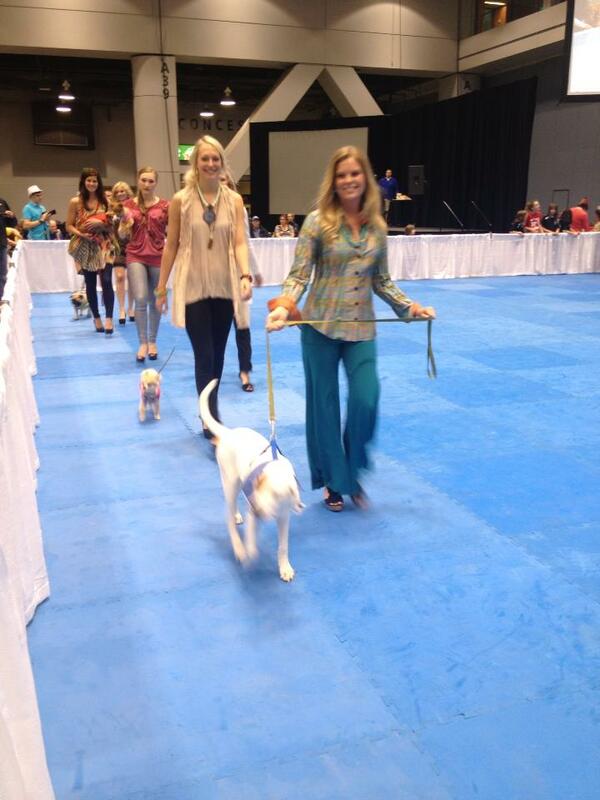 Nominate YOUR Pet for the Heels & Hounds Fashion Show! Nominate your pup to be featured in our upcoming “Heels & Hounds” Fashion Show (event details below)! 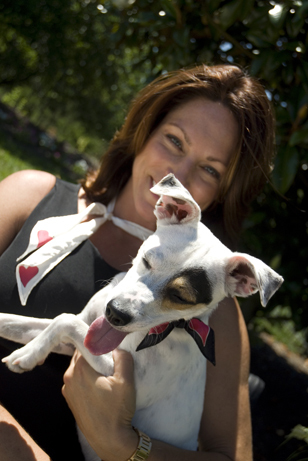 Email a photo and name of the dog you’re nominating to pets@cincychic.com. Deadline for submissions is May 3 at 5pm. Voting at cincychic.com/pets will begin May 5 at 8am and end on May 7 at 5pm. (voting link will not be live until May 5). The top 20 vote-earning pups will appear in the show and also receive: one free admission ticket, professional photography session and a tail-wagging gift from Pet Passions and Fashions! Our Posh Pup Fashion Show is coming up on Sept 21! Make sure you mark your calendars and prepare to enjoy complimentary valet “barking,” puparazzi on the red carpet, shopping, complimentary drinks, and a pupography booth to capture lots of candid moments with you and your canine. Plus, check out the pup-friendly treats, raffle prizes, silent auction and fundraising activities. 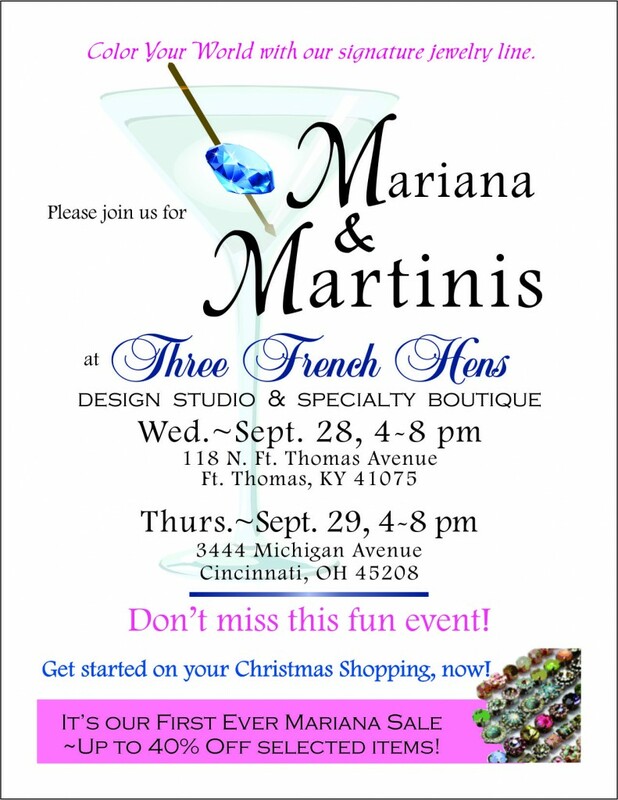 The event is free to attend – receive a swag bag with a $10 donation to The Humanitarian League of Greater Cincinnati! RSVP here! One of our vendors at the event, Ceci David, just sent me an email about one of the items she’ll have on display at her booth. 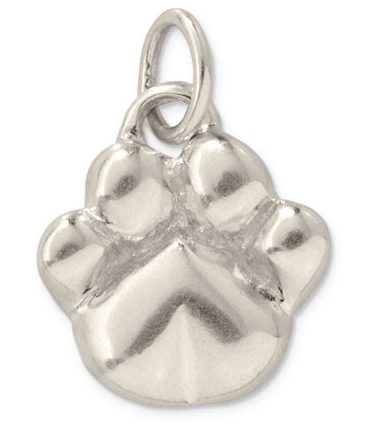 Stella & Dot just came out with a new charm line, and this super cute paw print charm is one of them! Click here or watch the video below to learn more! See you at the event! You might be looking at our promos of today’s Cincy Chic Pet Fashion Show wondering why a carpet cleaning company is a vendor at it. Good question. Turns out the carpet cleaning company that’ll be at our event, Cincinnati Maintenance, isn’t your typical carpet cleaner. They’re lean (no toxins, and use 90% less water than other carpet cleaners), mean (the best carpet cleaners I’ve ever used), stain fighting machines (I have white carpets and a crazy dog – need I say more?). Because they’re toxin-free, they’re great for people with kids and pets who play on the carpet all day long. And that’s why Cincinnati Maintenance is today’s Cincy Chic’s feature of the day! They’re kind of like the secret weapon I’m unleashing to all my pet-loving friends who attend this event! I think everyone is going to love learning about them! If you’ve never heard of Cincinnati Maintenance, owner Les Fultz (who we just wrote about HERE in Cincy Chic), formed the company to provide a healthier, more sustainable option for floor care in Greater Cincinnati. Cincinnati Maintenance specializes in carpet cleaning, upholstery care, tile and grout cleaning and maintenance, and dryer vent cleaning, installation and repairs. So, they’re not only earth-friendly, they’re furry friend-friendly! To learn more about Cincinnati Maintenance and to learn about monthly specials visit their website at: www.cincinnatimaintenance.com or on their facebook page! But, most importantly make sure you stop by their table at the Pet Fashion show! Something to look forward to the night of the event, Cincinnati Maintenance will be giving away a $150 gift certificate to one lucky attendee and $25 off any cleaning service to everyone who attends! Click on the webcast below where I interview Les when he came to do my carpets last week! Thanks to my intern, Leah Reitz, for helping me put this blog post together! The Cincy Chic Pet Fashion Show is a mere day away! Admission to the event is free but space is limited so RSVP today! Plus, all proceeds from the raffle and action we’ll have at the event will benefit a great cause, Recycled Doggies! Each day, I’ve been doing a sneak peek of a vendor or fun aspect of the show. Today, I’m featuring Nosey’s Kissing Booth. This will be a fundraising initiative to raise money for the Recycled Doggies! 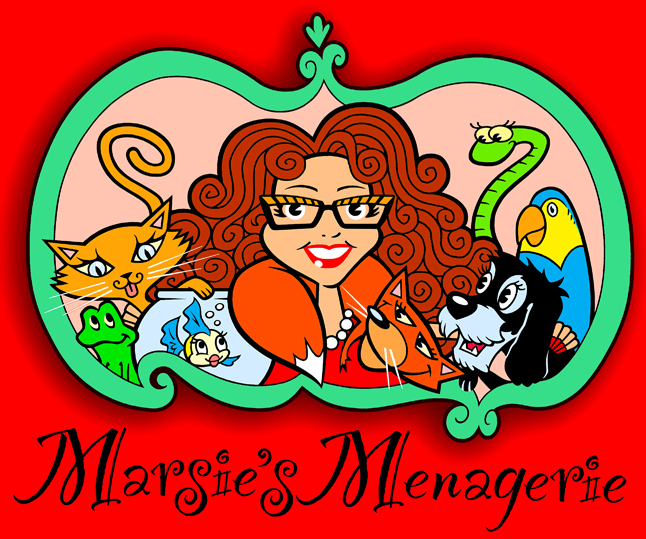 Newbold is also the author of the “Marsie’s Menagerie” column, which offers fun and informative pet information. Her column is featured throughout the Community Press newspapers and published here on Cincinnati.com. She has also been Grand Marshall for other pet events such as: “It’s a Pet aFair,” “Mt. Adam’s Reindog Parade” and “Main Street First Sunday Dog and Cats Days,” but Marsie is really excited to be a part of Cincy Chic’s Pet Fashion show and Nosey can’t wait to give kisses to everyone who attends. To read Marsie’s entertaining column about local pets and pet owners please visit: www.marsiesmenagerie.com and look for it throughout the Community Press newspapers on a regular basis. Or to have Nosey’s Kissing booth come to one of your upcoming events, free of charge, please email marsolete@insightbb.com. And remember to bring a $1 to the Cincy Chic Pet Fashion Show to get a kiss from Nosey and help support Recycled Doggies! 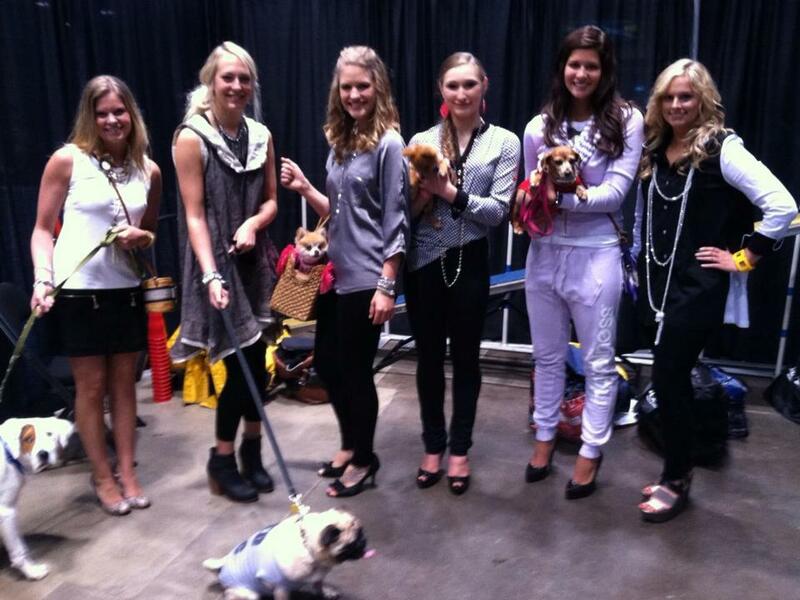 The Cincy Chic Pet Fashion Show is tomorrow! I’m so excited! I’ve been featuring one business a day that is participating in this great event and today’s feature is PetCakes! PetCakes are the only microwavable pet treats made with organic ingredients. But how did owner Melinda Kirk come up with this idea? Simple, once she started eating healthier and buying organic food her dog, Bella, did too. She started baking organic treats for her friends dogs to try and it became a hit, however, baking was taking too long so why not microwave them and cut down on the time. Melinda says, “2.5 minutes instead of 30, it worked great and after researching online for more recipes I realized that no one else had a microwavable pet treat.” Since then her company was born and now every dog who tries them are hooked and won’t go back to their old hard milk bones, but do you blame them? Melinda and the official PetCakes taste tester! Attendees of the Pet Fashion show will be able to treat their pets dressed to the nines to a special treat when they stop by the PetCakes table. They will be selling their original PetCakes and specially decorated PetCakes for $10 ($1 will be donated to Recycled Doggies) the night of the event. You can also give your dog a free sample by signing up for their email list. Some other things to be looking out for from PetCakes at the fashion show includes: their $50 gift basket in the silent auction and coupons in the swag bags given out at the event. To learn more about PetCakes and to order some for your dog today visit: www.luckypawsonline.com or visit Remke-Biggs (coupons given at the event will be good at Remke-Biggs) and make sure to look out for Melinda and PetCakes on QVC next month! We wrote about Melinda in Cincinnati Profile here, so keep reading to learn more about the business! To get your tickets for Cincy Chic’s Pet Fashion Show, click here! Today’s Pet Fashion Show feature of the day is: Pet Passions and Fashions, a fab online boutique for your posh pet! Kim, who we just featured in this week’s issue of Cincy Chic, is helping us make the whole night a reality because she’s HAND-MAKING all the outfits for our readers’ nominated/voted-in dogs in the fashion show! They will also be one of the vendors at our upcoming Pet Fashion show, tomorrow from 6-9pm at Performance Lexus! Pet Passions and Fashions will also be furnishing the fashions for the fashion show tomorrow. These furry friends will be strutting their stuff wearing hats, coats, tutus and even more surprises to come the night of the event! Click here to see a sneak peek of the fashion show we did this morning on Fox19! Pet Owners will also be able to visit her table that night to get custom fit apparel seen in the fashion show the night of the event for their own pet! She’ll be offering free shipping on any orders made the night of the event! To learn more about Pet Passions and Fashions, visit: www.petpassionsandfashions.com or visit their facebook or twitter pages! Pet Passions and Fashions will also be involved in a lot of upcoming local events, make sure to check out their website for a list of those! Kim also writes a blog about family life. “I have my 80 year old parents living with me, a 13 year old son and a husband of 27 years. Throw in a new puppy and life is never dull at our house.” I’m sure many of our readers can relate! Check her blog out at: www.lifeinthesandwichgeneration.blogspot.com. We are all looking forward to seeing all the dogs dressed up in fashions by Pet Passions and Fashions the night of the event, make sure you don’t miss out and click here to be a part of this fun event, which all the funds the night of the event will go towards a great cause, Recycled Doggies! Cincy Chic’s upcoming Pet Fashion show is going to have puparazzi, shopping, a fabulous fashion show featuring our readers’ beloved pets and raffles all benefiting Recycled Doggies. But, who is going to be there to clean up the mess after the event? That answer is Cincy Chic’s Pet Fashion Show feature of the day: Man on Doodie! Man on Doodie is Tri-State’s professional dog-waste removal service. The “President of Doodie,” Brian McDonough, started his company back in January of 2010 and jokes that business is “picking up!” For any pet owner, this is a company you must be familiar with! They will help make your life easier by eliminating the unpleasant aspect of being a dog owner! Something every pet owner should know are the facts, Man on Doodie points out, “With the average dog creating up to two pounds of waste per day, this job can quickly turn into a problem with risk to family, pets and our environment. A recent study found that walking through poop-contaminated yards put some 421,000 harmful bacteria on shoes. Worse, up to 99% of those bacteria transferred easily to tiles and carpet inside homes.” So, why not avoid these health risks and hire the best! So how does this all work? One of Man on Doodie’s service reps will come to your home on a weekly basis and dispose of your pets waste for you. All you have to do is pick the day most convenient for you! There are no contracts, and you can request a single visit or continuous service. For more information, please visit: www.manondoodie.com or call (513) 325-8571 to schedule a visit. Make sure you get your tickets today for this fabulous show coming up at the end of the week! Just click here and you can buy your tickets or make a donation to Recycled Doggies today, hurry space is limited!